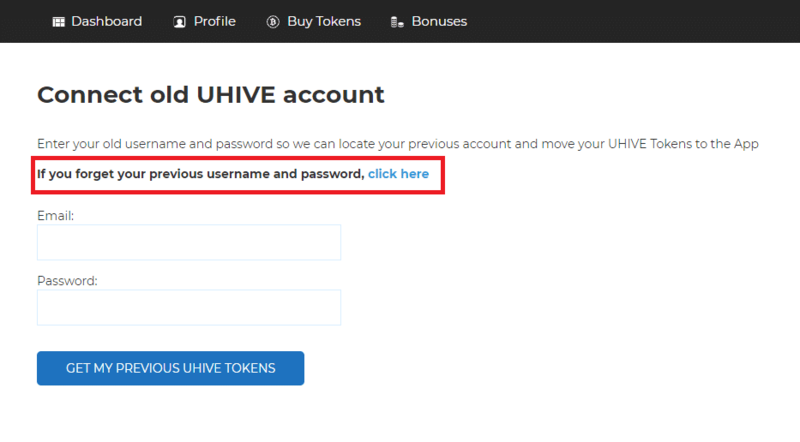 UHIVE | How can I connect my old UHive account? 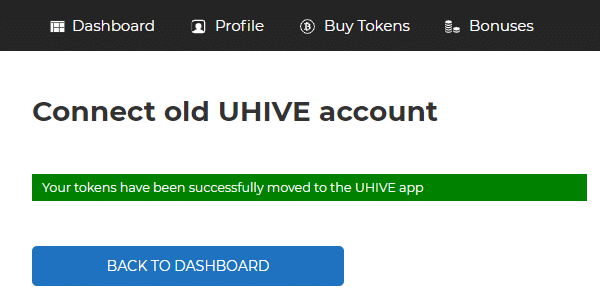 How can I connect my old UHive account? 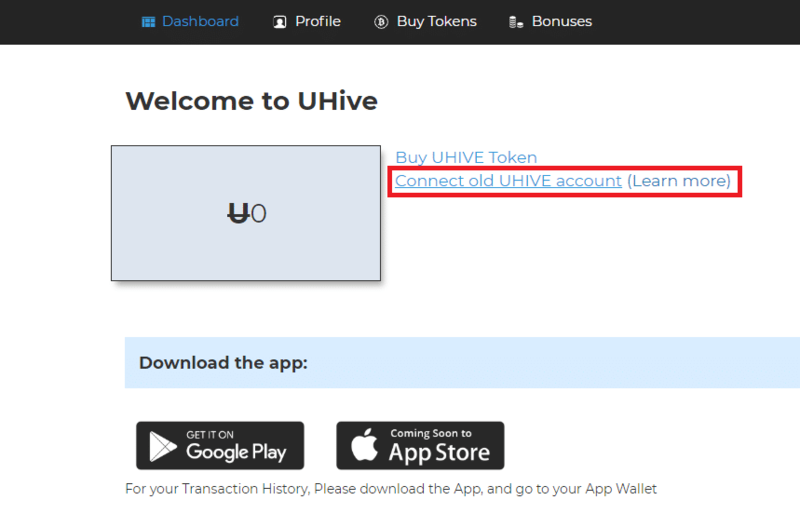 The option Connect old UHIVE account enables you to display your tokens inside the internal wallet in UHive app, by connecting your old account (the one that you used to purchase the tokens) to the new account. 1. Open your UHive account, click here. 2. Refer to the Dashboard tab. 3. Click on Connect old UHIVE account option. 4. Enter your old account email and password. 5. 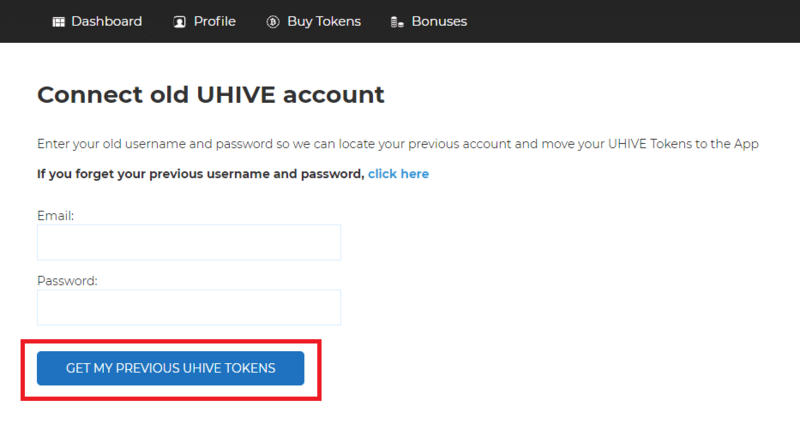 Click on Get MY PREVIOUS UHive Tokens. After completing the above steps your account will be connected and your tokens will show up inside your internal wallet. If you have used ETH or Bitcoin payment methods, please deposit your tokens after connecting your account in order to have them displayed in your internal wallet.